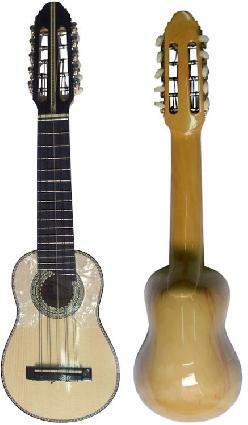 This charango of uncomparable quality is made of naranjillo wood. This type of wood is solid and stable providing the instrument with a longer life span. The ebony used for the fingerboard is hard and thick and guarantees the quality and durability of the charango.